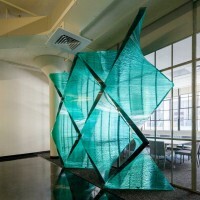 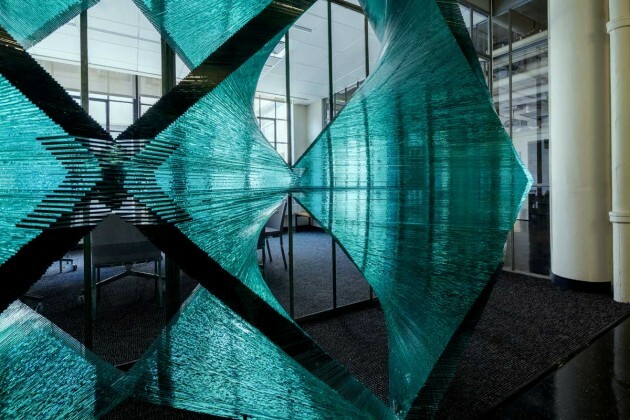 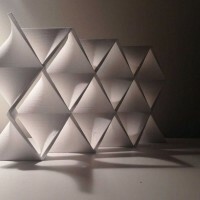 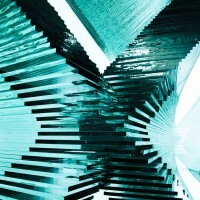 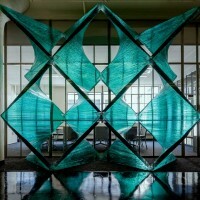 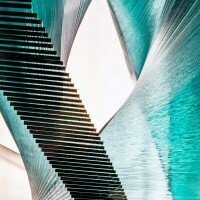 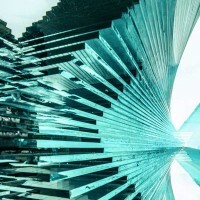 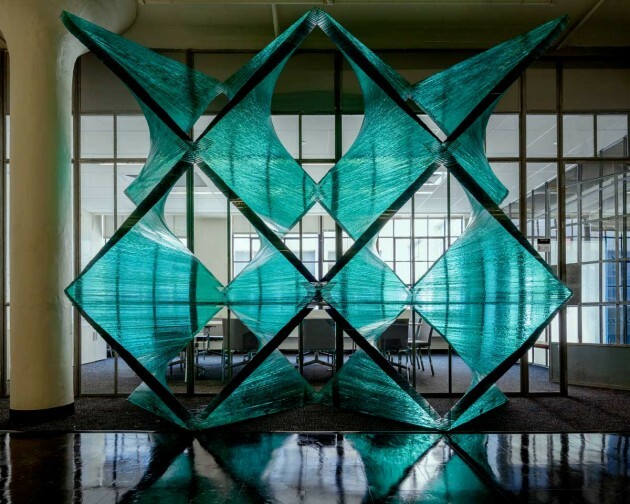 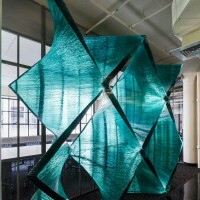 Cristina Parreño Architecture has designed a glass architectural installation at the International Design Center at MIT in Boston, Massachusetts. 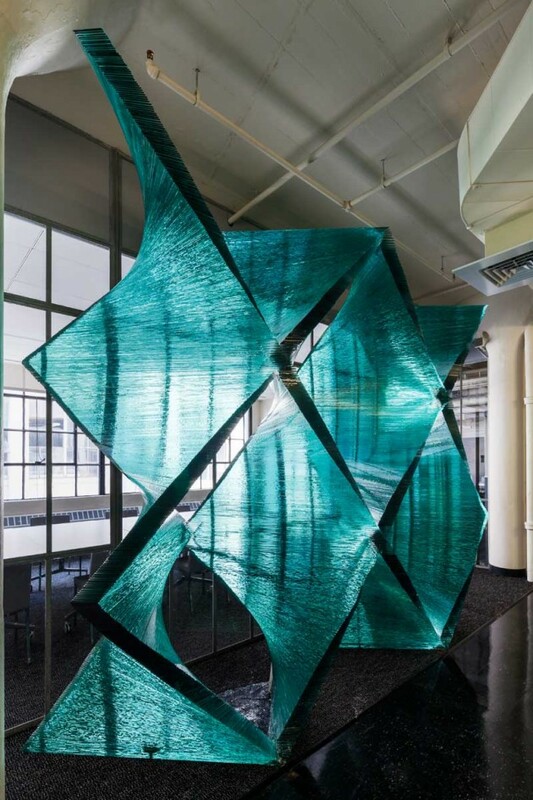 Tectonics of Transparency: “The Wall” is an undulating structure which geometry changes in appearance according to the position of the viewer. 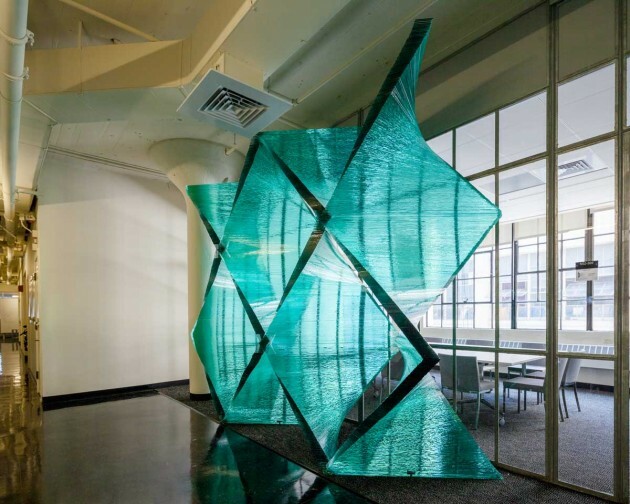 The architectural installation aims to generate high compressive strength as a vehicle to produce spatial environments that are specific to the glass medium. 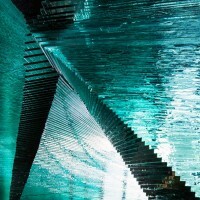 The use of glass as the only material touches on issues of perception, privacy, transparency, light and opacity. 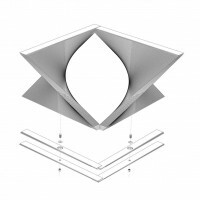 In turn, the artifact has the potential to exude multiple interpretations. 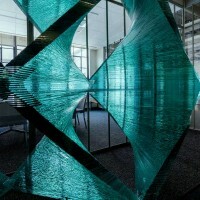 The project emphasizes the interaction between the screen and the light. 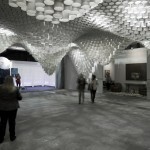 Its appearance varies dramatically in relation to the source of light and the position of the viewer. 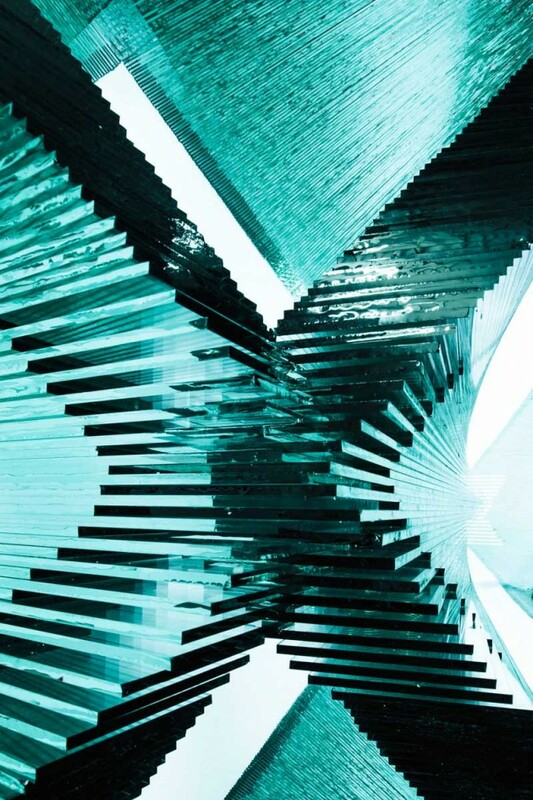 The myriad of apertures of the screen subtly change shape as we perceive them from different angles. 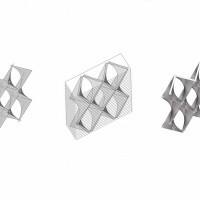 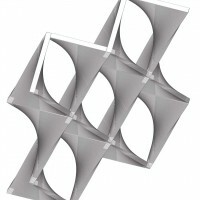 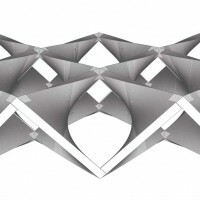 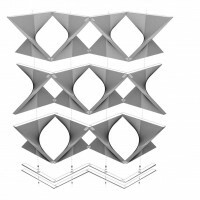 Tectonics of Transparency aims to study the relationship between formal design, spatial perception, structural efficiency and systems of fabrication, introducing the variant of the glass medium that will contribute by offering a completely new set of parameters thus requiring new means and method of aggregation, joinery, and stabilization. 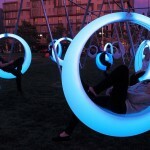 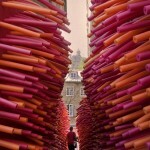 The projects was funded by the International Design Center and CAMIT. 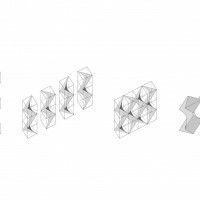 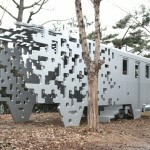 Collaborators: Sixto Cordero (RA), Dohyun Lee, Stefan Elsholtz, Nazareth Ekmekian and Haydee Casellas.